The Trust collaborated with agencies and organisations which have primary responsibility for responding to immediate hardship-related needs to identify clear gaps for further support. The Trust utilised existing agencies to disburse funds. Assisted with core community facilities and infrastructure to help relieve the hardship of those most affected by the earthquakes. 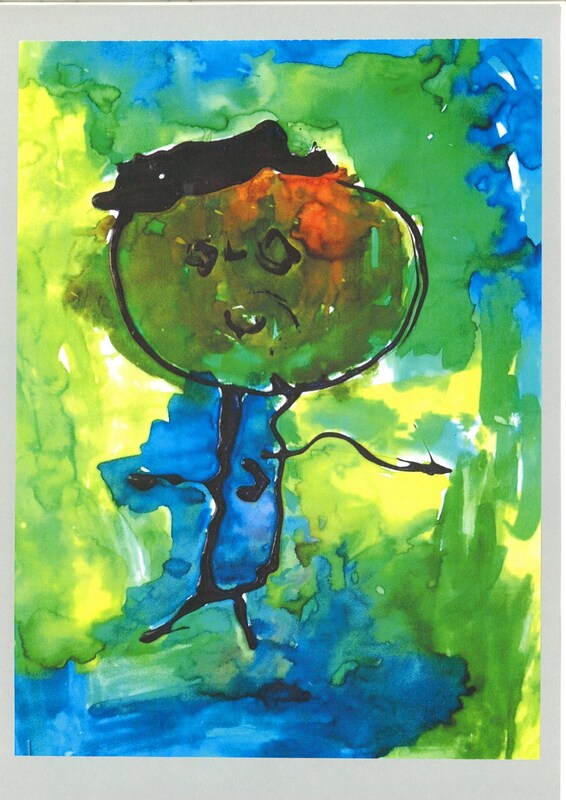 CCS Disability Action Canterbury & West Coast Inc.
OSCAR Network in Christchurch Inc.
$25,000 to fund a mentoring programme for children who have lost a role model as a result of the quakes, and to fund additional staff to meet increased demand. This fund was contributed by the Vodafone Foundation Canterbury Fund. For a full list of the Vodafone Foundation funded projects click here. A further $12,500 has also been granted to BBBS of Christchurch to go towards mentoring support for Christchurch children who have been impacted by the earthquakes. This fund was also contributed by the Vodafone Foundation Canterbury Fund. For a full list of the Vodafone Foundation funded projects click here. $10,400 funding for an extra case worker for BBBS of North Canterbury that will enable us to support more young people that have been impacted by the earthquakes in North Canterbury. This fund was contributed by the Vodafone Foundation Canterbury Fund. For a full list of the Vodafone Foundation funded projects click here. Up to $300,000 to extend the residential advisory service to help people still working through insurance and housing issues. $60,000 has been allocated to the Burwood Community Church Trust to fund an additional community services coordinator. This was donor-directed grant by the UK Christchurch Earthquake Appeal Trust. Rangiora Showgrounds, Canterbury Plunket Society and Christchurch Target Shooting Association, can repair and rebuild their earthquake-damaged facilities quicker thanks to $570,000 granted by the Christchurch Earthquake Appeal Trust. Around 15 different organisations, associations and networks use these regional facilities for wider community benefit. Rangiora Showgrounds is granted up to $300,000 to repair its grandstand and the changing and showering facilities underneath, so it can reopen for use by rugby and football players, schools cross-country, equestrian and other events, and the annual A&P show. NZCT has kindly contributed $77,136 to this grant. 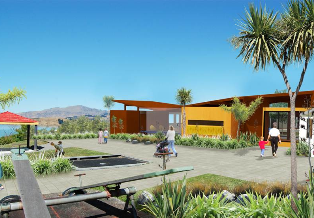 Canterbury Plunket Society is granted up to $210,000 towards building a permanent, purpose-built facility that it will own. Plunket will be able to better help the 92% of all new babies born in Canterbury that their services help today, and offer its full range of family services. Christchurch Target Shooting Association is granted up to $60,000 towards repair of its indoor range and meeting room, so it can again be used by seven indoor clubs, ParaFed shooters, secondary school shooting teams and other community groups. NZCT has kindly funded this grant. $50,000 towards refurbishment of offices to replace those that were lost in the earthquakes. These offices support disabled people to find paid employment. This fund was contributed by the Vodafone Foundation Canterbury Fund. For a full list of the Vodafone Foundation funded projects click here. $25,000 to fund group courses provided free of charge to manage trauma, grief and loss. This fund was contributed by the Vodafone Foundation Canterbury Fund. For a full list of the Vodafone Foundation funded projects click here. $35,000 towards supporting families of disabled youth impacted by the earthquakes in Christchurch by providing mentoring, youth groups and siblings groups. This fund was contributed by the Vodafone Foundation Canterbury Fund. For a full list of the Vodafone Foundation funded projects click here. $50,000 towards the rebuild of the Child Cancer Foundation Family Place at 20 Cashel Street, Christchurch. The previous Family Place was demolished as a result of the earthquakes. This fund was contributed by the Vodafone Foundation Canterbury Fund. For a full list of the Vodafone Foundation funded projects click here. $50,000 to Cholmondeley Children's Home towards an adventure-based learning programme. $50,000 to assist with the rebuild of the home and to support the children's education. Cholmondeley Childrens' Home began in 1925 and provides care, support and education to children at risk, or in temporary need of assistance, in the greater Christchurch area. Demands for its services increased following the earthquakes at the same time as available funding from the community declined. The funding provided to Cholmondeley provided support for staffing and resources for the adventure-based learning programme which has proven a huge favourite with children at the home. The Christchurch Community House is a shared facility for not-for-profit and welfare groups in central Christchurch. 52 community organisations were left homeless when the previous building was damaged in the earthquakes and subsequently demolished. A former warehouse was secured as a new temporary home for the Community House in Tuam Street. Funding of $72,487 has been granted by the Christchurch Earthquake Appeal Trust to go towards the fit out costs of temporary office space and for three re-locatable Port-A-Comms to meet additional need. Note: Previously (27 February 2012), the Christchurch Earthquake Appeal Trust granted up to $885,000 to pay for the fit out of the warehouse space for three-plus years. However, 113 Tuam Street is no longer a feasible long-term solution for the Christchurch Community House Trust but was available for a short-term lease (nine months ending 30 June 2013) with 90-day right of renewal. Hence, the $72,487 grant. A further $240,000 was granted to fit-out permanent premises in Tuam Street to provide a home for a large number of small to medium sized community groups displaced by the earthquakes. The Trust has given $200,000 in support payments for Christchurch families over the 2011 holiday season. The support includes grants totalling $150,000 to the Christchurch City Mission, the Salvation Army, the Christchurch Methodist Mission, the 0800 Hungry Ministries Trust, the Farmy Army Christchurch and He Oranga Pounamu. An additional $10,000 each was provided to the Christchurch, Otautahi, Shakti and West Christchurch Women’s Refuges and the Battered Women’s Trust to help address increased demand over the festive season. These grants recognise and support some of the key organisations in Canterbury providing on-the-ground support to people facing hardship. The support includes grants for food packages for over 6000 households and an anticipated 650 people at the City Mission Christmas dinner. The Trust hopes these grants go some way towards making Christmas brighter and better for struggling Christchurch families. $10,000 to fund legal support for young people who require advice on earthquake related issues with particular focus on Avondale and Kaiapoi. This fund was contributed by the Vodafone Foundation Canterbury Fund. For a full list of the Vodafone Foundation funded projects click here. $5,000 for after schools programme to support struggling parents returning to work following Christchurch Earthquake. Attendance has doubled since the quakes with new families moving into the area. This fund was contributed by the Vodafone Foundation Canterbury Fund. For a full list of the Vodafone Foundation funded projects click here. $5,000 of funding towards the development and production of a depression support resources. This fund was contributed by the Vodafone Foundation Canterbury Fund. For a full list of the Vodafone Foundation funded projects click here. $80,000 for the development of a community plan for the eastern suburbs, including public consultation. The ChristChurch Cathedral (Anglican) sits at the centre of Christchurch city and is a striking symbol of the hopes and aspirations of the early settlers of Canterbury. The 6.3 aftershock which hit Christchurch on Tuesday 22 February 2011 collapsed the Cathedral's tower and caused devastating damage to the remaining structure. The Christchurch Earthquake Appeal Trust has given $50,000 towards the preliminary costs of a feasibility study into a temporary Cathedral in the city. The feasibility study will explore options for extending the use of a temporary Cathedral to other religious groups and for use by the wider community, for example for arts and culture and civic events. The feasibility study is being undertaken in association with world-renowned architect Shigeru Ban. Ban is famous for his innovation and creativity in the wake of disaster. He is known as an ‘emergency architect’ who has built safe temporary structures in Kobe, Turkey, China and Japan, all after earthquake damage. 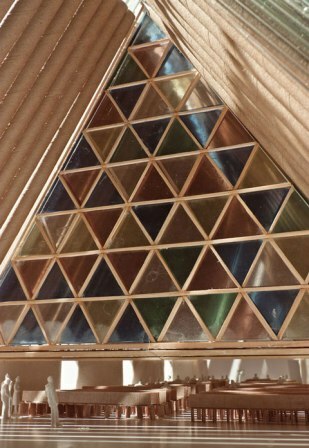 His designs are sustainable, recyclable and able to be relocated when their temporary purpose is filled. Appeal Trust funds of $184,890 enabled the Commission for Financial Literacy and Retirement Income (formerly the Retirement Commission) to produce printed and online information and resources and to set up a free financial advice service to help residential red zone property owners. The Financial Decision Guide booklet, along with a Checklist of Quick Tips, and a special red zone page on the Sorted website as well as the free one-on-one financial advice consultations from qualified, professional financial advisers were designed to help people understand their financial position and options and to work through their financial decisions related to the government offer to purchase their property. 10,000 of the Financial Decision Guides have been distributed, including some 1,300 copies given out at CERA community meetings and workshops held in red zone communities since October 2011. A further $50,000 of Appeal Trust funding has since enabled the Commission to extend printed and online resources to all other earthquake affected Canterbury residents. This $50,000 grant was donor-directed from the Government of Brunei Darussalam.